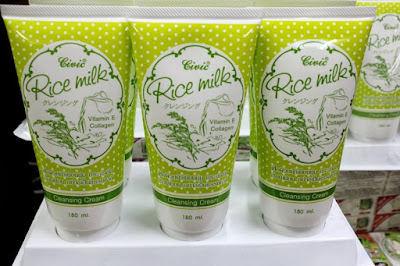 Facial Cleansing Cream with Rice Milk component that deeply and gently cleanses the skin as well as the skin to be naturally fairer. Civic Rice Milk Cleansing Cream is enriched with Vitemin E and Collagen, which nourish facial skin to be soft, hydrated smooth and glow. Direction : Squeeze the cream onto your palm, smooth the cream all over the wet face then rinse off with water. Use every morning and evening.